With her dolls recently featured in one of the most reputable fashion magazines, Elle Canada, Montreal-based designer, Gaiia Kim launched her doll collection in late 2012. From Belle Époque inspired details to whimsical party hats, her designs are perfect for those, children or adults, who have a love and appreciation for imagination. Graduating from some of the influential art schools in France and trained in different artisan skills, it’s no wonder why Gaiia Kim’s dolls are so stunning. Her hands are her tools. Get to know Gaiia Kim, her craft, and what inspires her. What was your point of realization when you wanted to design dolls? You mentioned you studied in Europe. Where exactly? I graduated from l’École des Beaux-Arts in France and studied at l’École Supérieur des Arts Appliqués Duperré in Paris. I later found my way to Montreal where I started to create handmade goods in felt. I was also working as a florist. 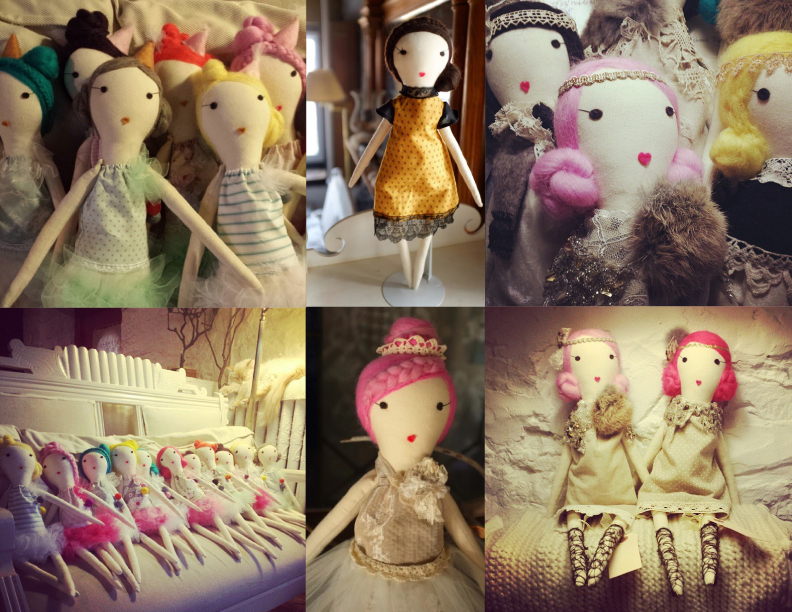 What inspires you when creating your dolls? I have always been inspired by anything that has a story, a past behind it. The shabby-chic style is something that I am very fond of. 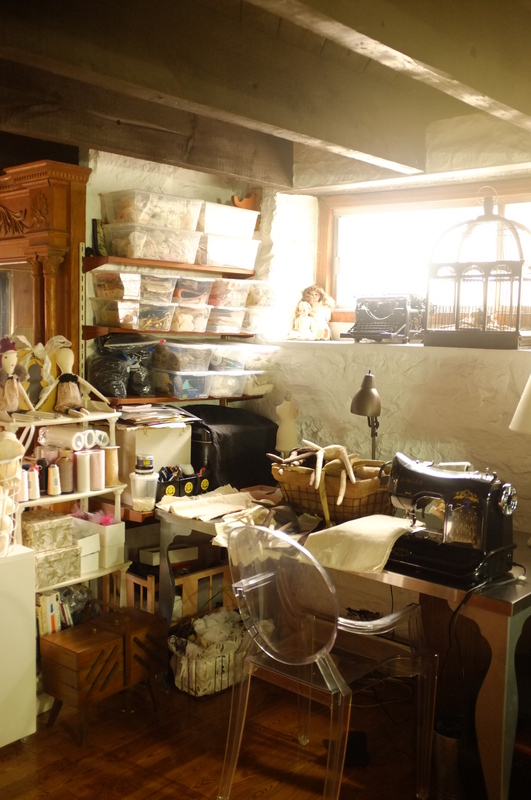 After realizing that I wanted to create a doll of my own, I have researched on many doll makers such as Jess Brown, le Train Fantôme, and Evangelione. I actually started my career with my vintage collection. I had just acquired some antique laces and came up with a few sketches. After a few prototypes, I found the style that I was happiest with and thought that I could best express my vision with. With time, we started different collections, and one of them was the lollipop dolls. Summer was upon us and we wanted to create something colorful and fun. I wanted to give it a playful aspect, and then “celebration” came to mind. And, since summer is a great time for parties, we decided that party hats are what would give it its finishing touch! How long have you been designing dolls? This project started back in September 2012. I was working as a florist back then. The inspiration just came one day as I was looking at the old materials I had back from when I was working with felt. It just started as a hobby and my first doll was created earlier on in that month. 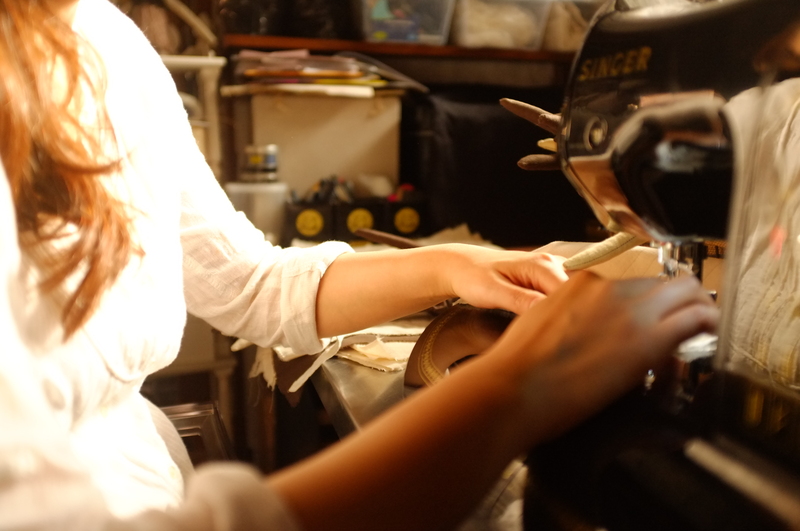 It seems there is a lot of love and craftmanship that goes into your dolls. Tell us a little about the process. I have always been creative with my hands. My background is in Visual Arts and I have worked as a ceramist, as a felt designer, and as a florist. I have also studied in fashion design when I was living in Paris. Each doll requires 4 to 6 hours to create. From cutting and sewing the patterns, stuffing the dolls, stitching the facial expressions, coiffing the hair, and adding the final details. Everything is done by hand. The bodies are made of cotton and most dresses are made from re-purposed fabrics. The vintage laces and trims are acquired through estate sales. 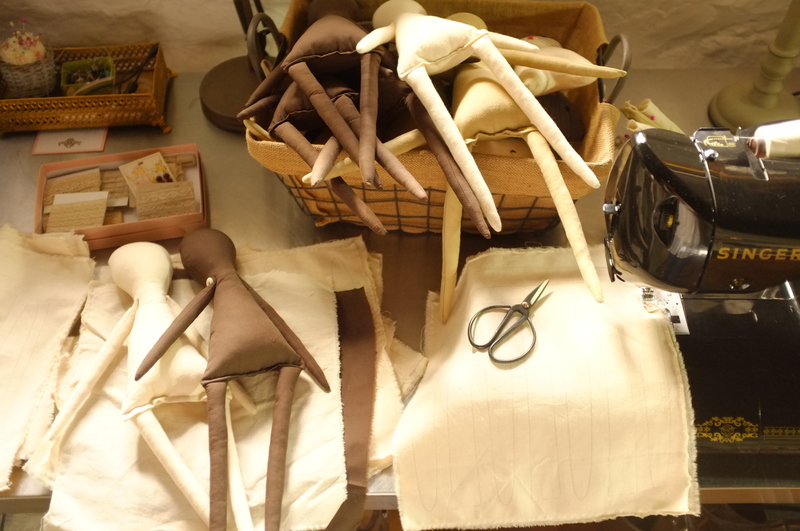 The dolls are stuffed with polyester fiber-fill and the hair is done with felt by using a needle felting techinique. What is most complicated and time consuming though is the hair and the finishing details; each doll is unique and requires a certain creative process. Tell us something you enjoy doing aside from your dolls. 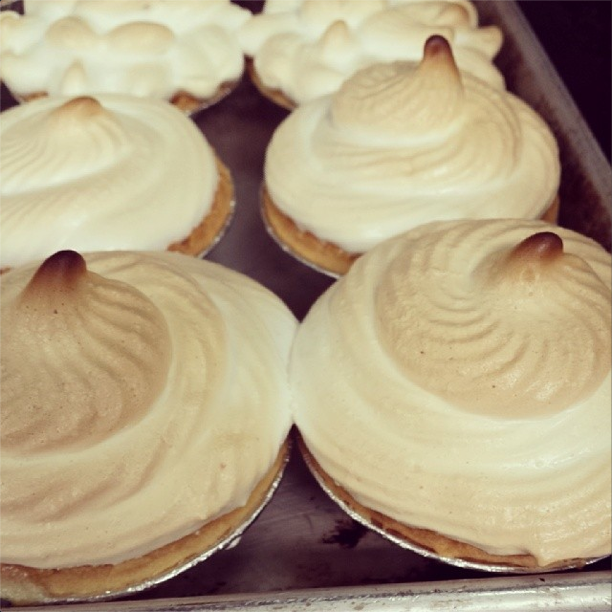 At the moment, I am studying full time in a culinary school as a French pastry student. I am hoping to make pastries of such caliber as Laduree! Where can people find your dolls? Sweet Threads is actually my first international retailer and it is very exciting! You can also find my dolls on Etsy. 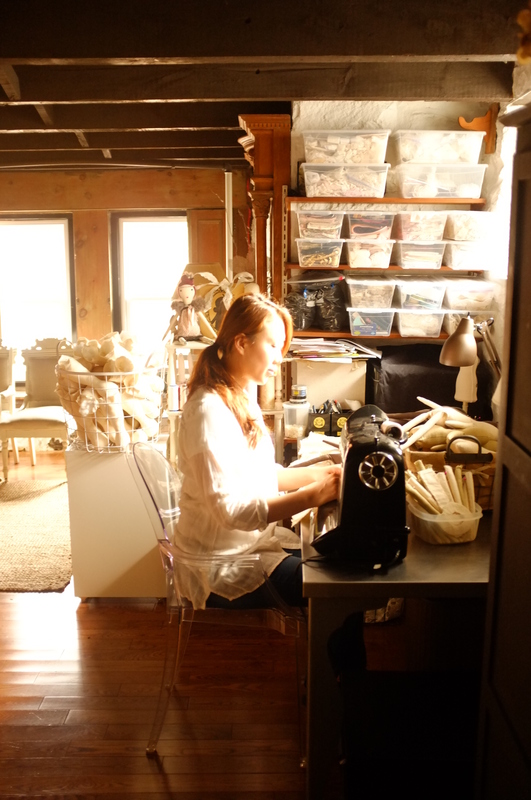 Lover her and her craft as much as we do? Keep up with Gaiia Kim and see what she’s up to on Twitter, Instagram and/or Facebook!